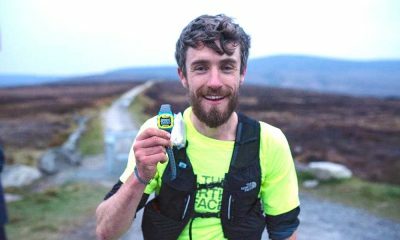 The European Championships bound athlete wins with ease as Leon Reid and Emma Mitchell also storm to Irish titles. 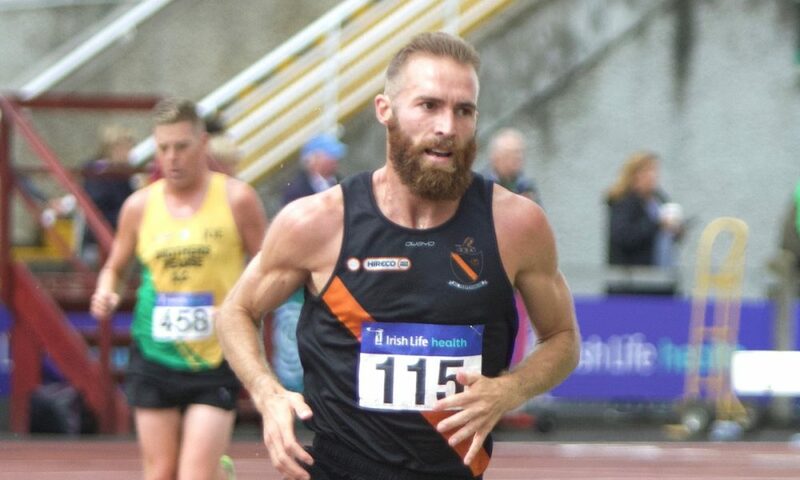 Stephen Scullion warmed up for 25 laps in Berlin with a commanding win in the men’s 10,000m on day one of the Irish national track and field championships in Santry, Dublin on Saturday (July 28). Mick Clohisey and Kevin Maunsell set the pace in the early laps and led for most of the race with Scullion sitting comfortably behind. 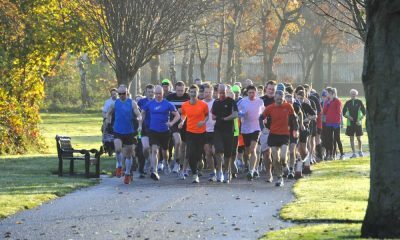 The 29 year-old Clonliffe Harriers athlete made his move to the front with an injection of pace on the final two laps and powered home to win in 29:25.30. It was the Belfast man’s first national 10,000m title with Raheny Shamrock’s Clohisey taking silver and Clonmel AC’s Maunsell bronze. Leon Reid edged Marcus Lawler in a thrilling 200m race in 20.74 to 20.79. Living up to its billing Lawler ran a brilliant bend to put himself into the lead but it was Reid who was still full of running with 10m to go who came through to take the win on the line into a -1.1m/s headwind. 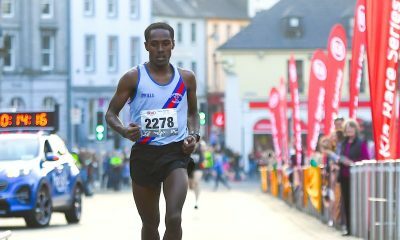 Galway City Harriers’ Cillin Greene took bronze in 21.74. Irish record holder Phil Healy was the runaway winner of the women’s 200m in 23.64 ahead of Ciara Neville who was second in 24.27 for her first national outdoor medal. Catherine McManus and Niamh Whelan were given joint third in 24.63. In the women’s 5000m final defending champion Emma Mitchell kicked past a brave front-running performance by Shona Heaslip to claim gold in 15:59.34 to 16:03.91. 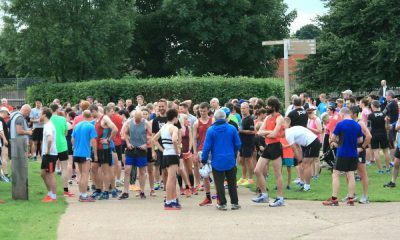 Mitchell, who also won 1500m gold last year, looked in control throughout the race and should take confidence from the win ahead of the European Championships. Other distance winners on day one were Adam Kirk-Smith in the men’s 3000m steeplechase in 9:02.09, while Kate Veale was the first track champion of the day winning the women’s 5000m race walk in 22:19.22. 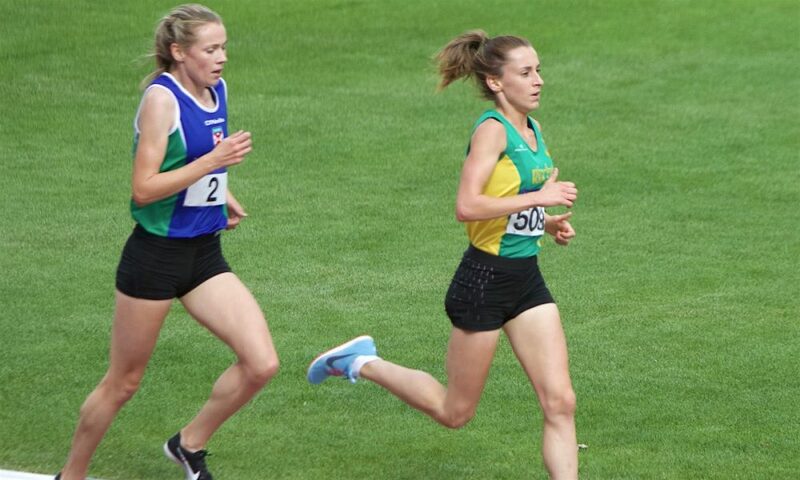 There was plenty of depth and exciting heats ahead of Sunday’s finals, including Ciara Mageean in women’s 800m heats and an impressive win in the men’s 5000m heats from Hiko Tonosa. In the field events, Saragh Buggy took the women’s triple jump title once again in 12.24m. Elizabeth Morland won the women’s javelin with a best of 43.41m and Niamh Fogarty won the women’s discus with 44.56m and a seventh win in the triple jump for Denis Finnegan. Owen Russell beat Adam King in a good battle in the men’s hammer with a best of 65.91m to 63.05m. Stephen Rice won the men’s javelin with a best throw of 66.95m while Denis Finnegan won the men’s triple jump with 14.33m. Day two (July 29) of the Irish track and field championships will be broadcast live on RTE from 5.30pm.